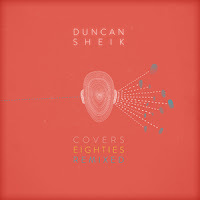 Duncan Sheik is releasing a remix of his 80s covers album in case you didn't get enough the first time around. The painfully-obviously-titled Covers Eighties Remixed is out next week and is now available for pre-order. His voice seems well-suited for the synth-era so it should be interesting. Duncan is also touring. Details below.